For those who have been diagnosed with prostate cancer, the many options available can serve to add to their stress. Some may find relief from the fact that they have so many choices, but for many, the decision is a difficult one because they know their health is at stake. 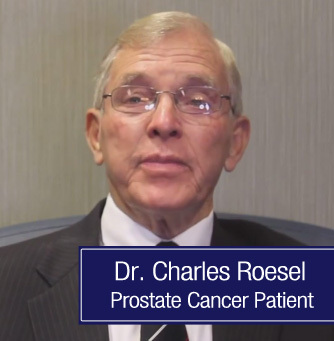 When Dr. Charles Roesel was told that he had prostate cancer, he was also presented with many choices, many of which he found very confusing. Yet, he understood how important making the right decision was to his future, so he sought the help of his knowledgeable family and friends. Roesel’s son is one of the people he consulted and is a researcher at Harvard University. His son researched various treatment facilities and ultimately determined that Advanced Prostate Cancer Institute was the only way to go. However, Roesel wanted to be very careful about making the choice, so he contacted his friend who is a cancer doctor in Florida. After taking a look at the options Roesel had, the friend said that Advanced Prostate Cancer Institute is the one he would choose if he were in Roesel’s position. Roesel’s doctor also agreed that it was the right move. Taking the advice of some of the most trusted people in his life, Dr. Charles Roesel became a patient at the recommended facility and never looked back. Now he reports, that having experienced the level of care and treatment provided, he knows he made the right decision. Unfortunately not all patients diagnosed with prostate cancer have the benefit of having such trusted friends and family that they can turn to for help in making such an important decision. However, they can rely on the testimony of patients like Dr. Roesel and benefit from the wisdom of his inner circle. 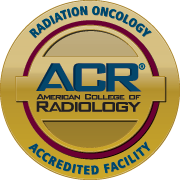 They can experience the high level of care provided at Advanced Prostate Cancer Institute.